We are sending the eblast early this weekend, so students can start planning their Red Ribbon Week attire to support Saying No to Drugs & Remembering to Make Healthy Choices! THE's Weekly eBlast can be found here: https://www.smore.com/490xk . 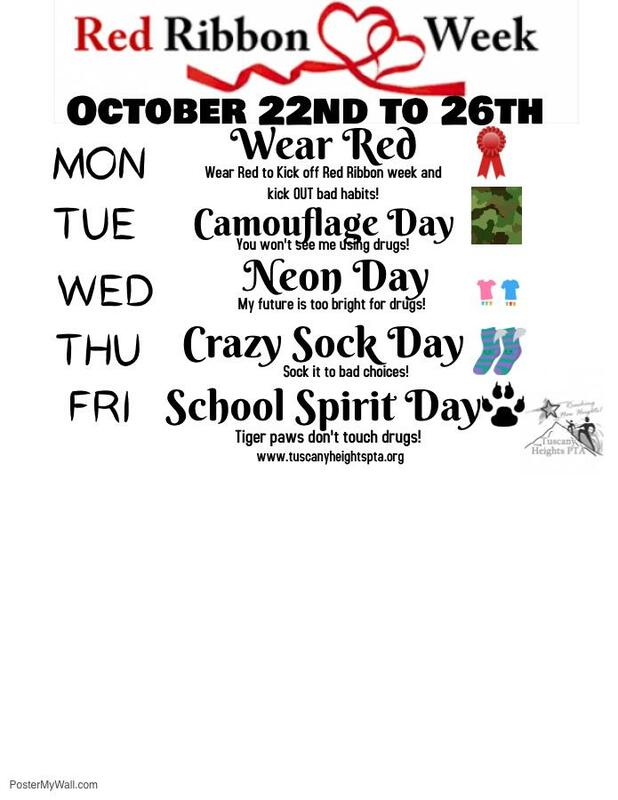 Get ready for Red Ribbon Week this week!! !